I’m trying something NEW! Last week, I dared to explore another ART form. I love ‘the look’ of handmade/vintage printmaking! I actually played a little with block printing and silk screening in high school [a lifetime ago, haha]. I’ve been collecting/reading the how-to’s of making rubber stamps, block printing and so on. 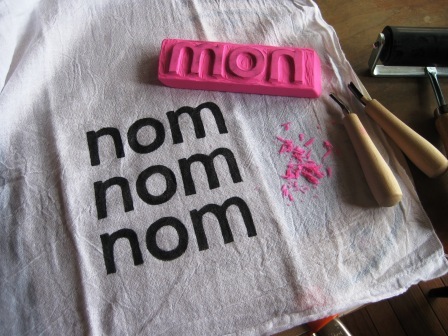 This was my very first attempt at ‘carving’ a rubber stamp using a large over-sized [inexpensive] eraser. They’re available in any office supply. Today, a very rainy day here, I played with linoleum [lino cut block printing]. Very different feel and much more difficult to ‘carve’. There’s definite skillz required!!! 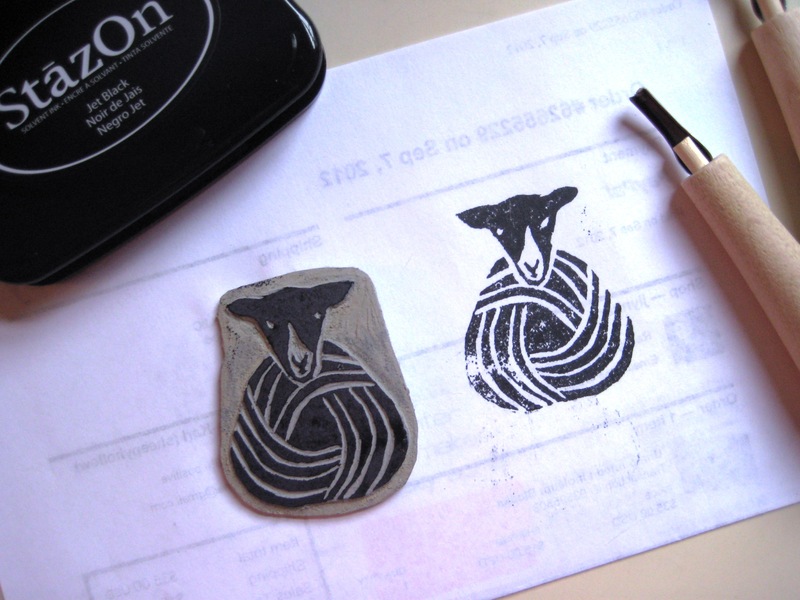 Here’s my FIRST lino block print…a sheep of sorts [wink] for tags for my handmade woolies!?? I wanted to add ‘farm raised’ lettering [whoa!! ]… but, decided that was a little too ADVANCED. I’ll need a little [actually, a lot] more practice!!! Recognize the ‘conventional’ WOOL logo? Not too too bad for my first lino cut, eh? This entry was posted in Farm, Projects, Sheep/Fiber and tagged block printing, rubber stamps, sheep rubber stamp by Sheepy Hollow Farm. Bookmark the permalink.